Samsung continues to force Galaxy S8 and S8+ owners to use the Bixby-dedicated button exclusively to launch the personal digital assistant. 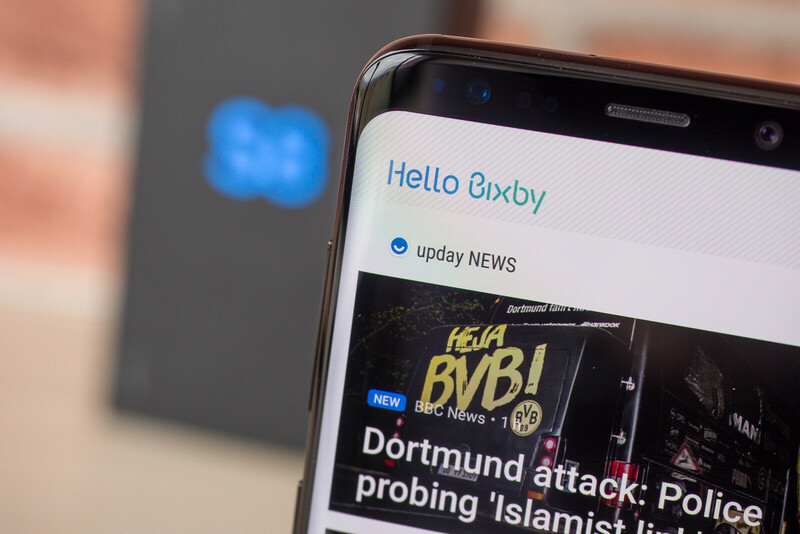 Since the release of the flagship, many developers have found a way to enable users to remap the Bixby button to open other apps or do other useful operations. However, the South Korean company pushed software updates that prevent the remapping of the Bixby button. It happened last week in the United States where Sprint and T-Mobile released updates that included new security patch updates and minor fixes. What Galaxy S8 and S8+ owners didn't know is that these updates also blocked the option to remap the Bixby button. The good news is developers have already found a way to avoid Samsung's restrictions and enabled the option to customize how the Bixby button works once again. It will be interesting to see whether or not Samsung will continue to deploy updates that would limit the use of the Bixby button, seeing that developers find new workarounds every time that happens. Bets on for how long it takes for Samsung to fix it? I think 9 days. At this point it will be better Samsung just leave it be, they can't even release the full version of Bixby so why forcing people using it? And not to mention that Samsung should really rethink about their patching skill when developer keep finding a way to remap the buttons, so why still bother release patch to lock it up? I rather them spend more time to polish the Bixby rather than releasing patch for this. "I rather them spend more time to polish the Bixby rather than releasing patch for this." Releasing patches to lock the Bixbly button does not jeopardize the full development of the Bixby assistant. Lmao. So true. Is there anything software related samsung is even good at? Better music player than Googles and Apples offering. Better internet mobile browser than Firefox and Opera. Wasn't Samsung one of the few phones at the start that did multi window and to this day has the best implementation? So there is plenty of good Software from Samsung. I still take touchwizz over ios, stock android, emui and miui due to the raft of the features and options you get. Samsung just doesn't get it. If your user made an effort to remap the S8 button to another feature that means they reject your original idea and therefore you decided it's going to be in your best interest to fight them. Gee! Tell about big giant overgrowth ego. If Bixby were a superior product, then people wouldn't be trying to remap the button. Stop trying to limit your customer's choices so you can steal a bit of the virtual assistant market for yourself, especially when you're incapable of releasing fully functioning software. Bixby quality is irrelevant. Many people simply don't use any assistant. "Bixby quality is irrelevant." Wow ted, you just took deflection to level 1,000,000. "especially when you're incapable of releasing fully functioning software." What you're basically saying, is that devs who release beta versions of their software aren't capable of releasing the full version? Bixby is in beta, FFS. Samsung needs some consumer feedback on the assistant before releasing it as complete. Stop lying. Samsung never said it was in beta. When did samsung ever say that? They just couldn't release a fully functioning software and you're here making up lies for their inability. Well it's Android we're talking about "FFS", not Apple. if the consumer wants to customize their user experience and use what the industry has stated is the best virtual assistant in place of some second rate alleged beta software then why the hell shouldn't they be allowed to? Cat and mouse game. No one uses Bixby. Let the users decide what apps they want to use. Even Mr Mobile hates the Bixby button, and presses it all the time when trying to snap photos with the camera.